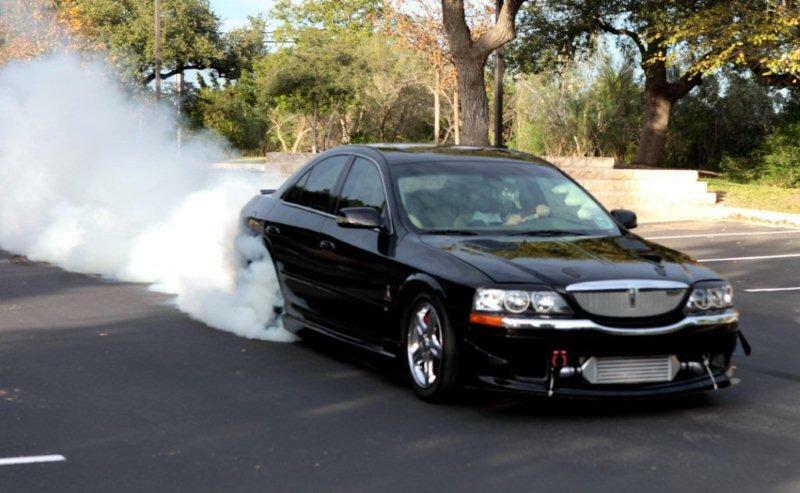 Regular readers will know that we have been a big fan of the Lincoln LS since it’s inception (and are an owner). We’ve blogged about it for years, shown versions Lincoln had planned to produce and didn’t, and complained loud and long when Lincoln made the mistake of cancelling it and substituting the overweight Volvo-based replacement “MKS”. Ford’s decision to dumb down the LS chassis for the S197 Mustang instead of following thru on the original plan to use a shortened LS platform finally killed off the LS, as well as the Thunderbird platform-mate. The LS was the last chance for a true driving enthusiast product from Lincoln: one that Lincoln desperately needs in the current decade! If you’re a fan of the LS, then hopefully you have been following the engineering and tuning work of the aptly named “QuikLS” in Austin, Texas USA. “Quick” is not the right word: besides attaining 408 HP at the wheels, with no internal mods (and nothing broken), the builder is now ready to sell kits so that you can have your own supercharged LS. The kit and it’s tuning are extremely well thought-out and the prototype has been running on the street (and track) for 2 1/2 years. And be sure to take note of the Torsen LSD he managed to fit into his car! That kind of attention to detail is what makes this a great piece of work.